From our brand new collection “Contemporary Baroque”, our Contemporary ring in rose gold plated 925 sterling silver embodies the stunning beauty of the Roman Baroque and the comfort of an open ring. 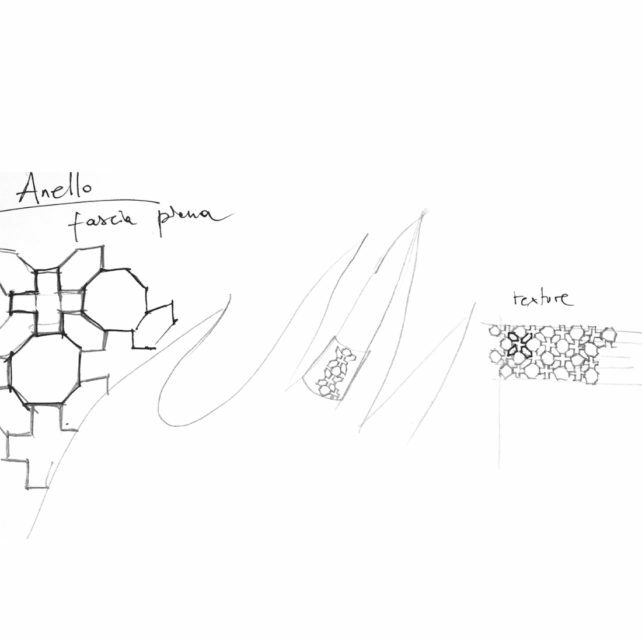 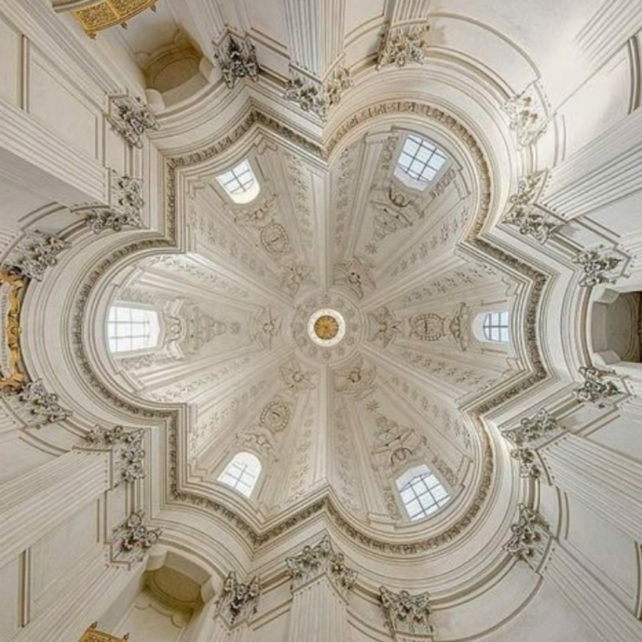 Giuseppe Terragni, one of the most important architects of the Italian rationalism movement, and his breathtaking works inspired our Q.bo.bo. 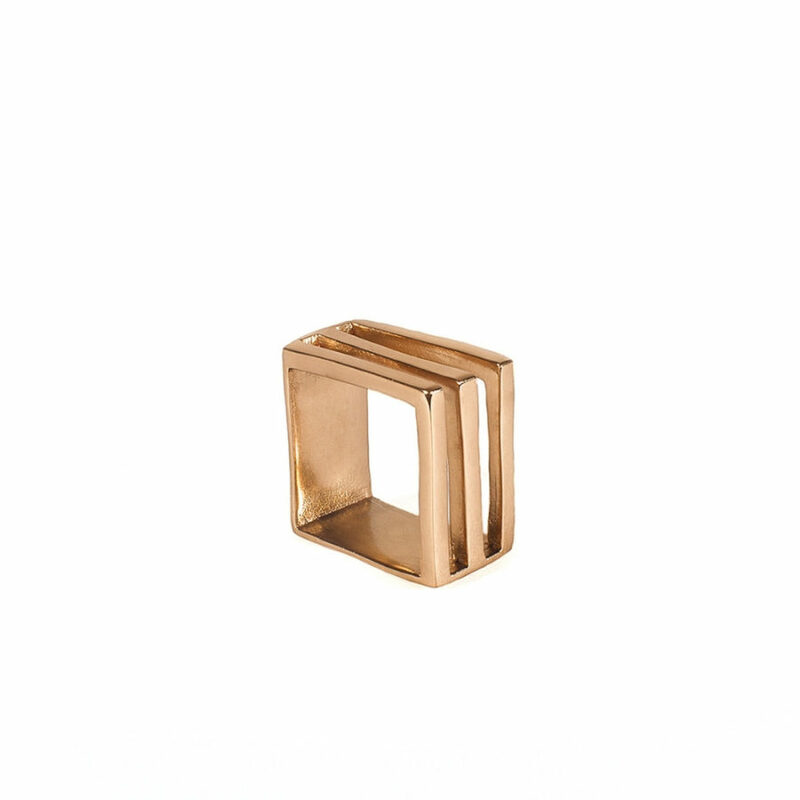 ring in gold plated bronze.An enchanting synthesis of modern theory and tradition. 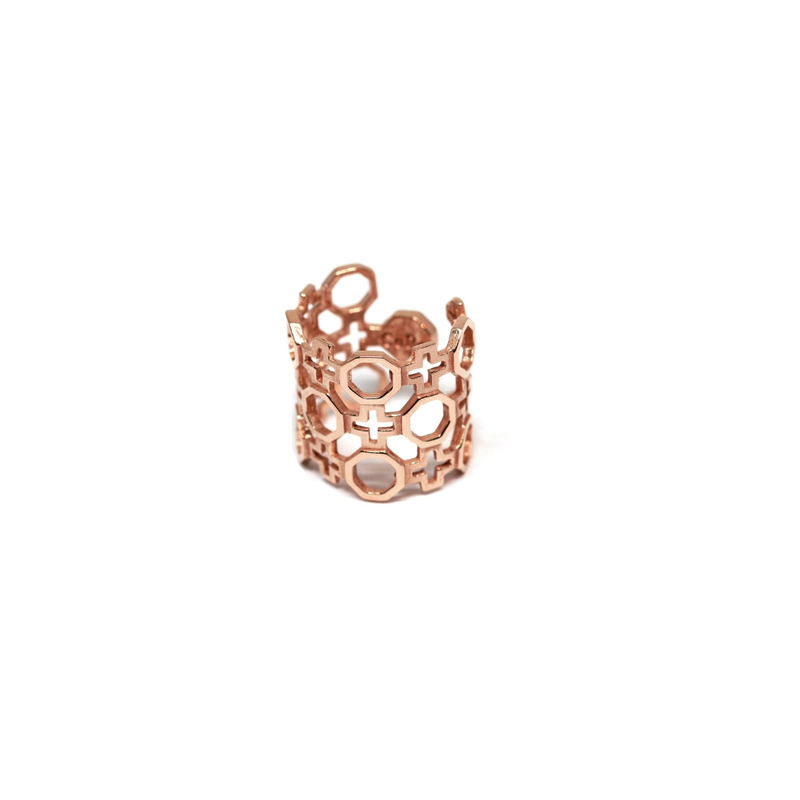 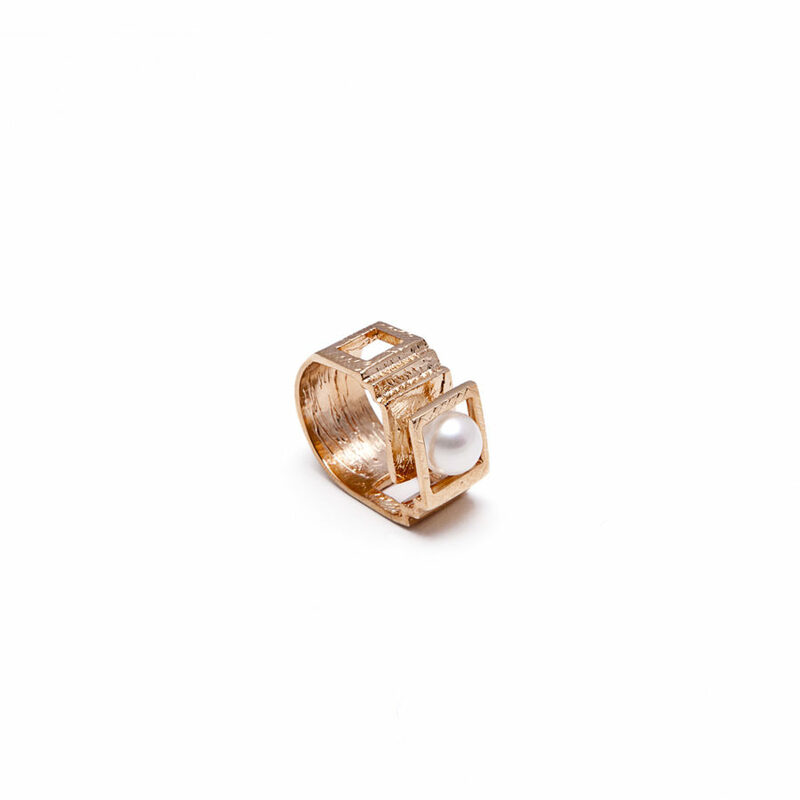 Our Etienne ring in gold plated bronze with a pearl is a statement piece inspired by the visionary neoclassic architect Etienne-Louis Boullée's unfinished project: 'The Cenotaph for Isaac Newton'.A poetic homage, blending uniquely a dreamlike romanticism with the severe rationality of neoclassicism. 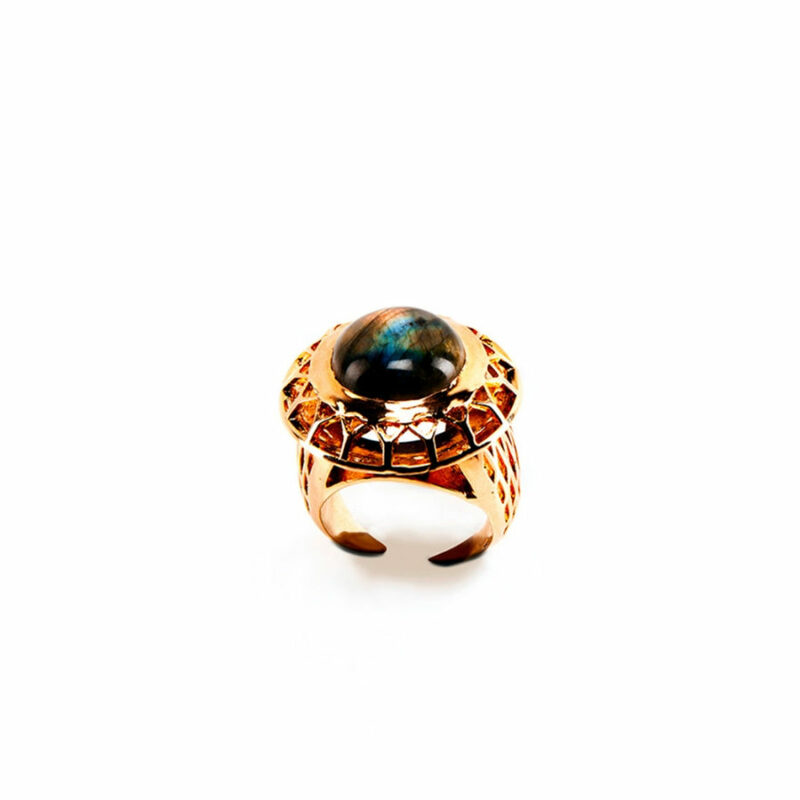 Did you know that our Nervi ring, in gold plated bronze and with a labradorite stone, is a perfectly carved miniature of a real indoor arena? Precisely of the "Palazzetto dello Sport", built for the 1960 Summer Olympics in the Flaminio District of Rome by the visionary engineer Pier Luigi Nervi. 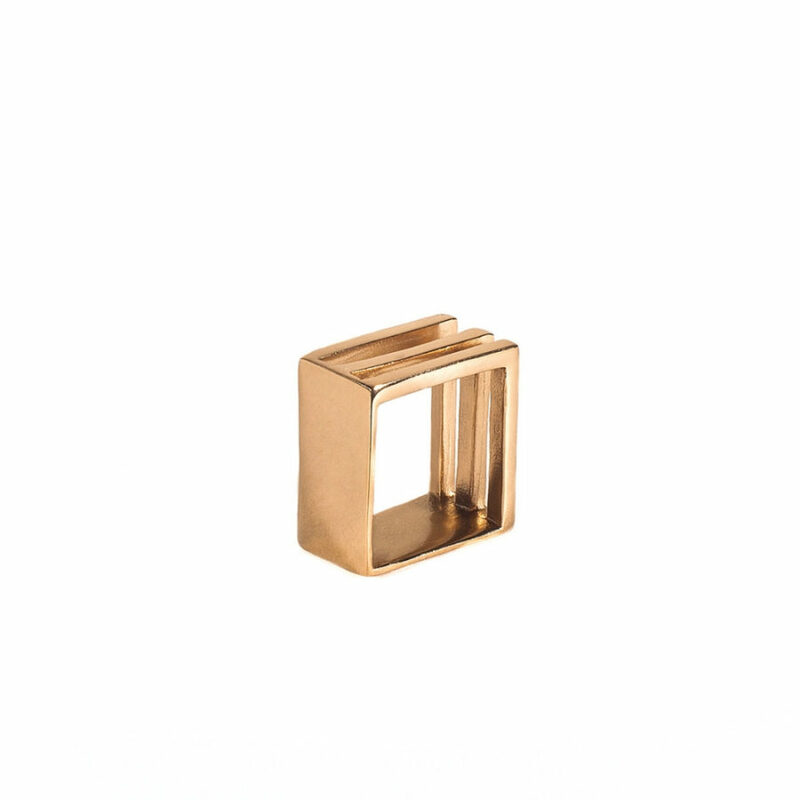 Wear a unique piece of the history of architecture! 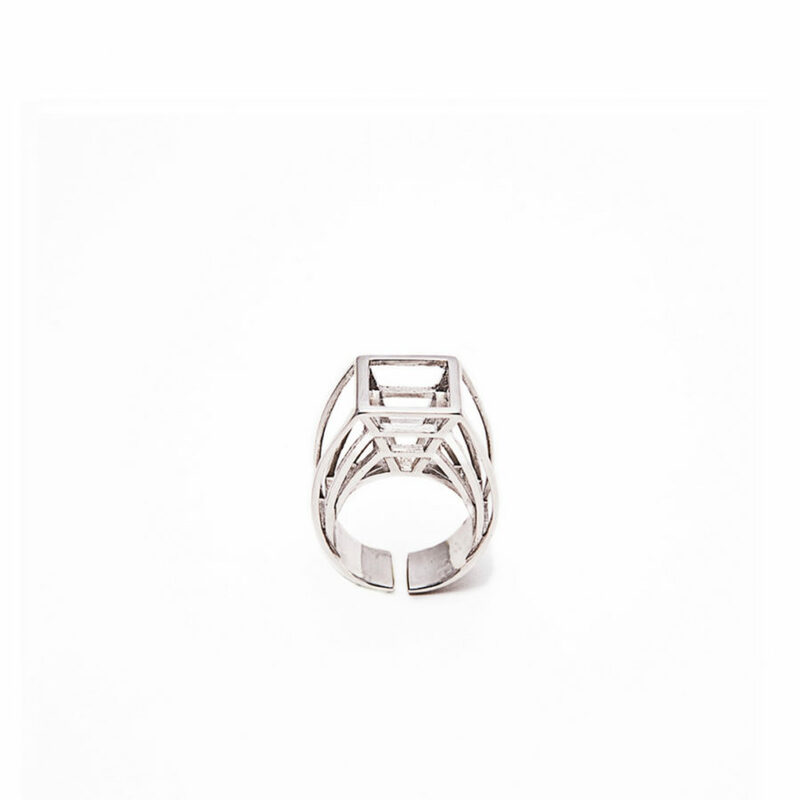 Inspired by the Baroque Perspective Palazzo Spada of Rome, Prospettiva ring in 925 silver sterling is realized with the innovative 3D printing technique.